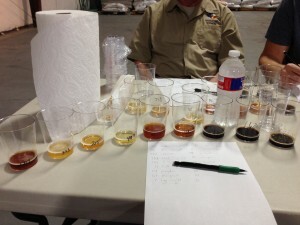 A flight of Spice/Herb/Vegetable beers at the Austin first-round judging. 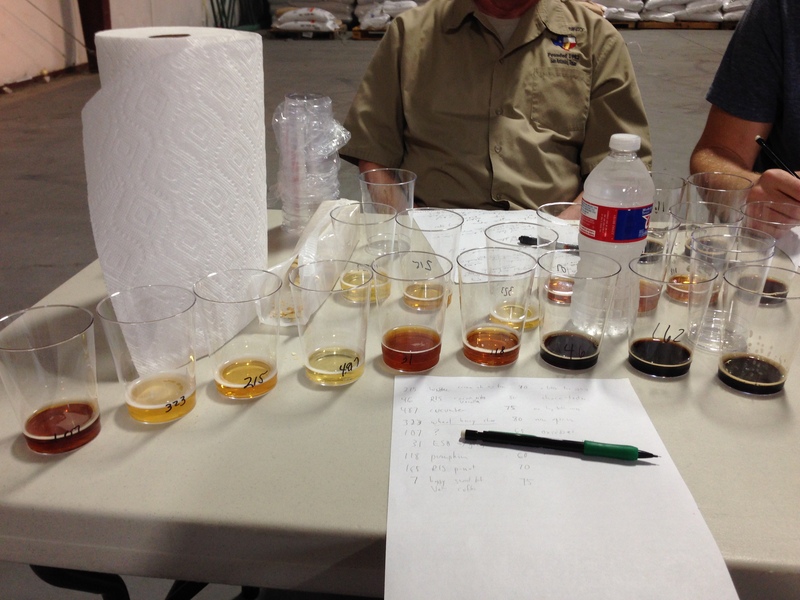 This past weekend, the Austin ZEALOTS homebrew club hosted one of the regional first-round judgings for the National Homebrew Contest. The local contest coordinator was Neil Spake and the judging was held at Rogness Brewing Company. Judging sessions were scheduled for Friday, Saturday and Sunday — and one additional judging session was added on Monday night to determine the winners in 4 categories. By Monday night around 9 PM, all the judging was done. This year, there were some very good beers in the mix. Beers for which the base beer was well done, and the spicing worked well with it. Of course, I was judging the mini-BOS, so the worst beers had already been weeded out. The smoked and wood-aged beers were good, but less impressive.